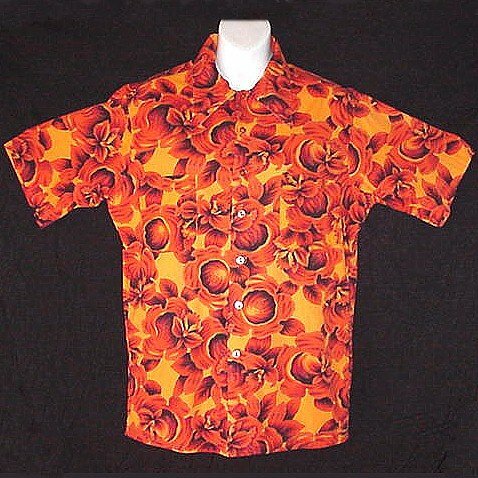 HAWAIIAN SHIRT Vintage Classic -= EARLY 70's SURFER ALOHA =- Floral Print COTTON Men's Size S! Shirt: Shoulder seam to Shoulder seam straight across 18 inches, Underarm to Underarm/Chest 44 inches around, Waist 42 inches around and Overall Length is 30 inches from the top center back neckline to the hemline! **Condition** In previously owned, loved and laundered condition, if you look closely you can see some very slight fading at the collar edges and normal wear with no abuse, rips, tears or other visible flaws to report! Your transaction is COMPLETELY ANONYMOUS... NO ONE can see what you've purchased, besides you and I... and your package will always be carefully wrapped and shipped DISCREETLY with no indication what~so~ever of it's contents! VINTAGE 80s HAWAIIAN SHIRT Vertical Borders SURFWAVES Black & White FLORAL Print Men's Size L! GORGEOUS Bohemian Dress Elegant BERRY WINE VELVET Hippie Boho LONG and SWEEPING Gown Size 12/M/L! VLV! HAWAIIAN SHIRT Classic Blue TROPICAL Floral Print ALOHA Men's Size L! HAWAIIAN SHIRT Vintage 70's VLV ALOHA Island MADE in HAWAII Cool Green FLORAL Print Men's L!